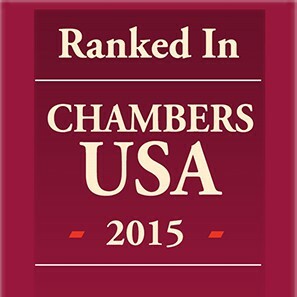 White and Williams has been nationally recognized by Chambers USA 2015 as a leading firm in the Pennsylvania market for its achievements and client service in the practice area of insurance law. Since 1990, Chambers and Partners has been publishing the leading guides to the legal profession. Over 150 full-time researchers identify and rank the world's best lawyers and law firms based on in-depth, objective investigation. The Chambers Guides cover 185 jurisdictions, including the newly added research area of Pennsylvania Insurance Law. White and Williams was described by clients as "an excellent firm that understands the business of insurance and can provide legal analysis coupled with practical reasoning." Clients continued, "they deftly straddle the fine line between providing legal advice on strategy while recognizing that certain decisions on strategy can only be made by the client." Partner Gale White was also recognized as a leading lawyer for her insurance law practice in Pennsylvania. Gale was described by her clients in the property and casualty and bad faith practice areas as "a superb litigator who has an acute knowledge of insurance coverage balanced with the practicalities of litigation."